Terramac will introduce its rubber tracked crawler carrier solutions for conquering landfills and solid waste at WasteExpo, booth #2463. "As a first-time exhibitor, we are looking forward to introducing our carriers as an efficient and environmentally sound solution for the waste industry," says Matt Slater, Vice President of Sales and Marketing at Terramac. "Our machines provide operators with the consistency and power that landfills require for a full day of operation while reducing overall stress on the landfill infrastructure." Terramac will educate on how landfill operations can capitalize on the versatility of its rubber tracked crawler carriers. Terramac carriers exert low ground pressure, which allows the units to easily maneuver across landfills with rough, wet or uneven ground conditions to accomplish tasks such as hauling dirt for daily cover, performing cell maintenance and various other landfill restoration projects. "The stability and traction of Terramac units are ideal for every landfill phase. Our machines perform many tasks and easily adapt to changing ground conditions. They serve many purposes, which makes them a valuable asset to landfills and an all-in-one equipment solution for keeping operations and revenue flowing," says Slater. Terramac also plans to showcase its customization options at WasteExpo. 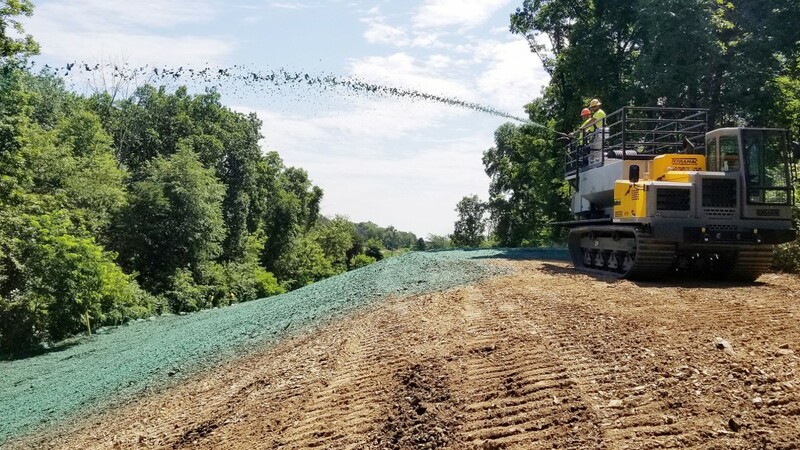 Terramac carriers can be outfitted with a wide array of landfill support equipment, such as industrial spray applicators for applying alternative daily cover or hydroseeding units for reclamation during landfill closures. Furthermore, Terramac's innovative RT14R model will be on display. The RT14R offers even more versatility with a 360-degree rotating upper frame that allows it to dump 28,000-pound loads with a simple straight-in, rotate, dump and straight-out approach. Any added stress on the underlying layers due to turning treads is eliminated. To learn more about Terramac crawler carriers for landfill management, visit booth #2463 at WasteExpo, May 7-9 at the Las Vegas Convention Center, and download the Environmentally Sound Technologies for Landfill Management whitepaper at Terramac.com.